E leanor “Elly” Clark 91, died Thursday March 14, 2019, at her residence, after a period of failing health. She was born Aug. 23, 1927, in Staten Island, New York, the daughter of Angelo and Theresa (Brocato) Spadaro. She graduated high school, attended the Fashion Institute in Bronx, New York, and studied Physical Education. She was married to the late Thomas P. Clark, an N.Y.P.D. officer and detective, for over 50 years. They were married in Staten Island. They then moved to Brooklyn’s Crown Heights, within blocks of Ebbets Field Stadium, home of the Brooklyn Dodgers. Mrs. Clark worked for many years as an occasional floor manager at a popular and fashionable women’s clothing store, Loehmann’s. She painted several oil paintings early on in life. Her and her husband bought two houses. She did the gardening, planting numerous flowers and bushes. Mrs. Clark was involved in renovating the home’s interior with her husband and children. She also refurbished antique furniture. While in high school she participated in marching band, then later on she belonged to ice skating clubs. She enjoyed vacation on Lake St. Catherine and in Poultney, was a member of the Women’s Guild at St. Raphael’s Catholic Church, Young at Heart Club and Rescue Squad thrift store. 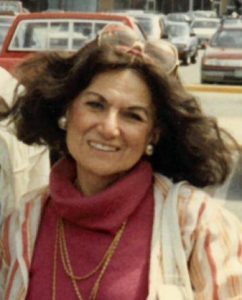 Survivors include her children, Thomas J. Clark, of Poultney; Patricia A. Clark Davidson, of Brooklyn, New York, and her sister, Jean Brown, of Fort Lauderdale, Florida. She was predeceased by her parents, her husband Thomas P. Clark who died in 2002 and her sisters Anne and Mildred. Burial will be at a later date in Poultney Cemetery. Memorial contributions may be made to the Poultney Young at Heart Club at 206 Furnace St., Poultney, VT 05764.